Welcome to the JFK Family Medicine Residency Website. JFK offers excellent opportunities to learn the full spectrum of Family Medicine from Obstetrics and care of the newborn to Geriatrics. We also place a strong emphasis on putting the biopsychosocial model into practice with longitudinal experiences in Behavioral Science/Psychiatry/Addiction Medicine, Complementary and Alternative Medicine, and Community Medicine. In our effort to be innovative and train residents for the future, we have been a Level III NCQA Patient-centered Medical Home since 2011, are a certified Centering group visit practice for prenatal and diabetic patients, and are a Comprehensive Primary Care Plus (CPC+) Medicare practice. We have also implemented an Osteopathic Manipulative Treatment (OMT) curriculum and the use of point-of care, hand-held ultrasound. Our Family Medicine Center practice is divided into four multidisciplinary teams and incorporates disease and population care management. We have been exclusively using an electronic medical record including secure patient e-mail since 2005, and train residents how to conduct group visits and function as a leader of the health care team. We also have a strong longitudinal experience in Practice Management to prepare residents for the business aspects of their practice. JFK recently merged with Hackensack Meridian Health (HMH), one of New Jersey’s largest, comprehensive health networks consisting of three academic medical centers, two children’s hospitals, and nine community hospitals. HMH is also partnering with Memorial Sloan Kettering to develop new standards of cancer care in New Jersey that will also be available at JFK. In addition, HMH and Seton Hall University have come together to start a new medical school, The Hackensack Meridian School of Medicine at Seton Hall University (SOM). The JFK Family Medicine Residency will play an integral role in the development of the SOM’s Department of Family Medicine, and I am honored to have been appointed the Founding Chair of the Department of Family Medicine. 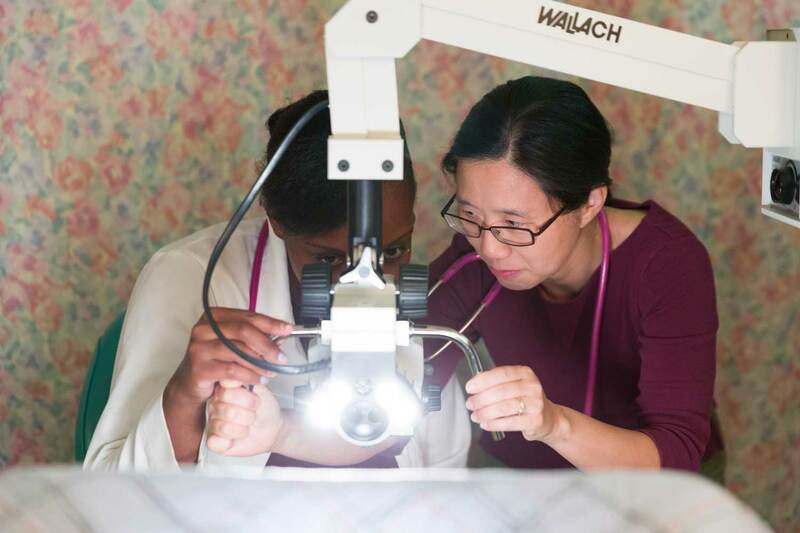 Ultimately, our most important assets are the residents, faculty, and staff who work together to create the highest quality residency program as evidenced by our 100% Board passage rate for the past eight years. After looking at our website and learning about our vision for Family Medicine education, we hope you will seriously consider applying to our program.